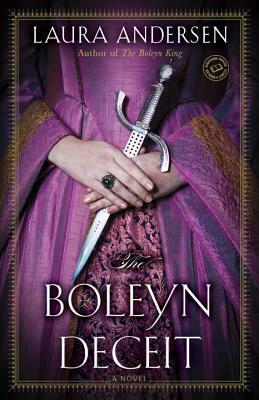 Perfect for fans of Philippa Gregory, Alison Weir, and Showtime’s The Tudors, The Boleyn Deceit is the captivating new novel set in the imagined Tudor court of King Henry IX, son of Henry VIII and Anne Boleyn, who must navigate a terrain rife with palace intrigue, impending war, and unbridled passions. Even more scandalous—and dangerous, if discovered—is that Minuette’s heart and soul belong to Dominic, William’s best friend and trusted advisor. Minuette must walk a delicate balance between her two suitors, unable to confide in anyone, not even her friend Elizabeth, William’s sister, who must contend with her own cleaved heart. In this irresistible tale, the secrets that everyone keeps are enough to change the course of an empire.